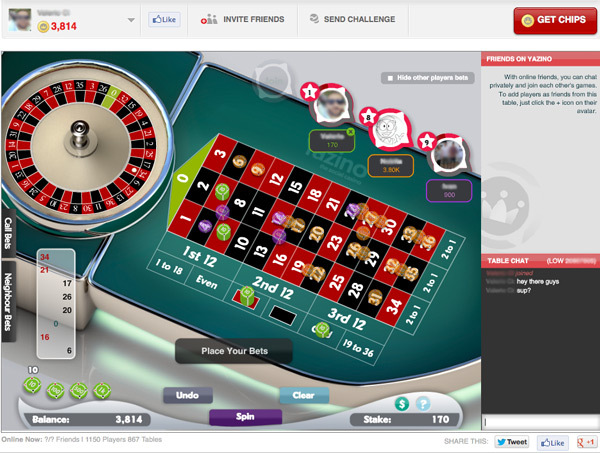 "Yazino has launched seven in-sync social games to date – Slots Wheel Deal, High Stakes Slots, Roulette, Blackjack, Texas Hold’Em Poker, Hissteria, and Extreme Bingo. Each game is playable on the website: yazino.com. Slots Wheel Deal is our first game available as an app on all platforms – web, iOS, and Android – and three of the other games are on one mobile platform (iOS/Android). Mobile is a massive growth area for us – our games are consistently featured in the Top Grossing casino game apps in the US App Store, a trend which we aim to continue". 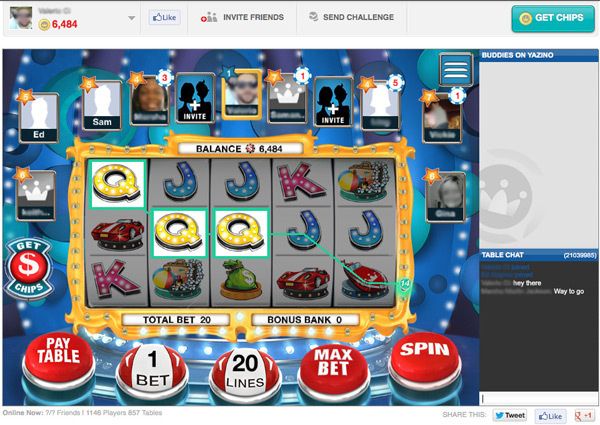 Your social casino games utilise a proprietary synchronous multiplayer technology that you called ‘in-sync gaming’. Could you please provide us with additional details? "Yazino develops synchronous social games to encourage a ‘close to real life’ social behaviour, allowing players to interact online with friends and meet new real persons whilst playing. We coined the term ‘in-sync’ to describe both the synchronous nature of the games, as well as the personal connections they enable. Most games on social networks are asynchronous, so they are not optimized for human interactions, only allowing players to share achievements and to invite existing friends to play. Yazino’s synchronous games help people to truly engage with one another, besides the mere matchmaking". "The demographic profile of our players varies widely by game. With Slots Wheel Deal, our fully cross-platform and most popular game so far, we see the demographic skew female and over 35. The majority of our players reside in the US, UK, Canada and Australia, though we have a truly global audience with players in Asia and the Middle East as well". Which of your games are currently powered by Lightstreamer? For what functionalities? "We're using Lightstreamer to handle real-time messaging between the server and the game clients over the Internet. Lighstreamer is used for our web site functionality (messaging, real-time information); and for game communication for our iOS games and Slots Wheel Deal". "Yes, currently four games out of seven are available for iOS and Android with more to come very soon". "Yes, we use Lightstreamer for bi-directional data push in our Android and iOS apps". "Data throttling is the main one we’re using". "All of our games are playable on our web site: www.yazino.com. Four of them are also available on mobile (iOS/Android)". On December 2010 you declared that “as a social gaming online casino, we knew from the beginning that scalability was critical to our success". Could you please comment your experience with Lightstreamer in terms of scalability? "Lightstreamer has been a very reliable part of our technology so far. We expect to keep pushing the limits on the scalability front even farther as we continue to grow". 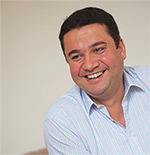 In 2010 Yazino coined the term ‘sofalising’, which also had a relevant coverage within the Information industry, to describe the trend for people to interact with each others while playing games. Do you think that the real-time technologies are an added value for this emerging kind of interaction? "Absolutely. Sofalising was about being social and enjoying entertainment from your sofa. Without that live game play, you wouldn’t be able to converse and compete as engagingly. The cross-platform aspect is also really important here. You should be able to pick up your mobile device and get your fix of not only the game, but also of your buddies, and of friendly competition anytime, anywhere. Playing in real-time is the fundamental thing that powers the heightened emotional experience and enables the deeper interaction and sociability of the games". During your panel at the Social Gambling Conference held in London in November 2012 you stated that “[...]the future of gaming lies in synchronous game play accessible anytime, anywhere, and that smartphones and tablets will deliver the future of these social interactive experiences” and “[...] social casino gaming is forcing the historically slow-moving iGaming industry to look for innovative solutions to catch up with the market”. Do you think that the choice of the Lightstreamer technology played a role for the pervasivity and the success of your synchronous games? "I think all of our technology choices have contributed to our success. We’re really proud of the platform we’ve built and of how we’re disrupting iGaming – an industry that hasn’t changed in many years. We’re expecting even bigger things in the future, with Lightstreamer technology playing a role". "Lightstreamer has a reputation for being dependable, scalable, and cross-platform, all of which are important to our future as a fast-growing, multi-channel social casino games publisher. We have been very pleased with Lighstreamer’s performance and support during the time that we’ve worked together".